Well my faithful and not so faithful blog followers, I have been a terrible blogger — forgive me. For some reason getting my act together to actually get the posts done alludes me. Parts and pieces of posts are strung all over the place. Pictures here, ideas there, words on papers all over the place and time, well it is always in short supply it seams. This week things are going to change. I am on a quest to organize and conquer the procrastination monster. . . Lets start with a post I meant to do last winter spring um summer— well you get the idea. It has been a long time in coming. I promise to be more timely, perhaps even get in a routine and have a post each week! Anyways, getting back to the subject at hand — Kale Chips. Kale grew and grew in the garden this year last year. Now, I am all for using kale. It is a power green. 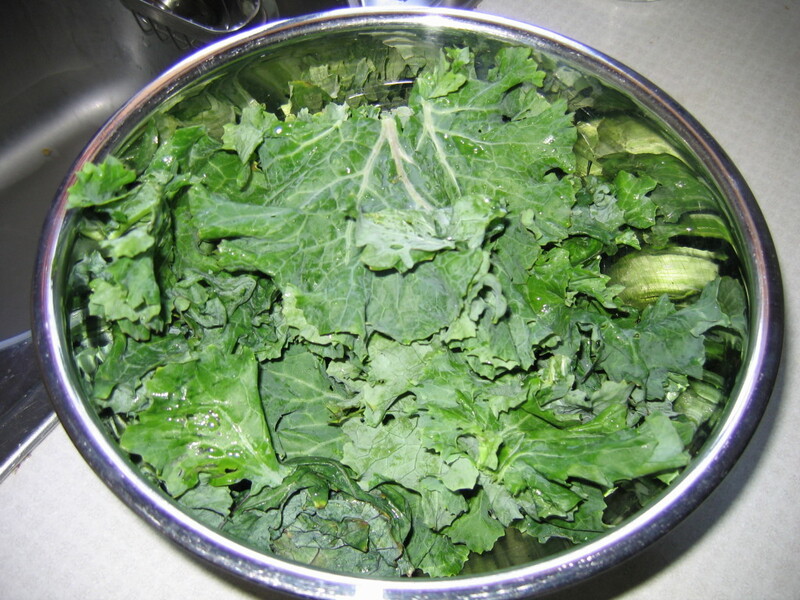 It makes great smoothies, hides well in soup and salads, but seriously after a while you can only use so much kale and freezing it, well it doesn’t work so well. After some brainstorming, found a good way to make it “shelf stable” — Dehydrated Kale Chips! So you start with a healthy size bowl of kale — the fresher the better. I used olive oil, garlic and sea salt. 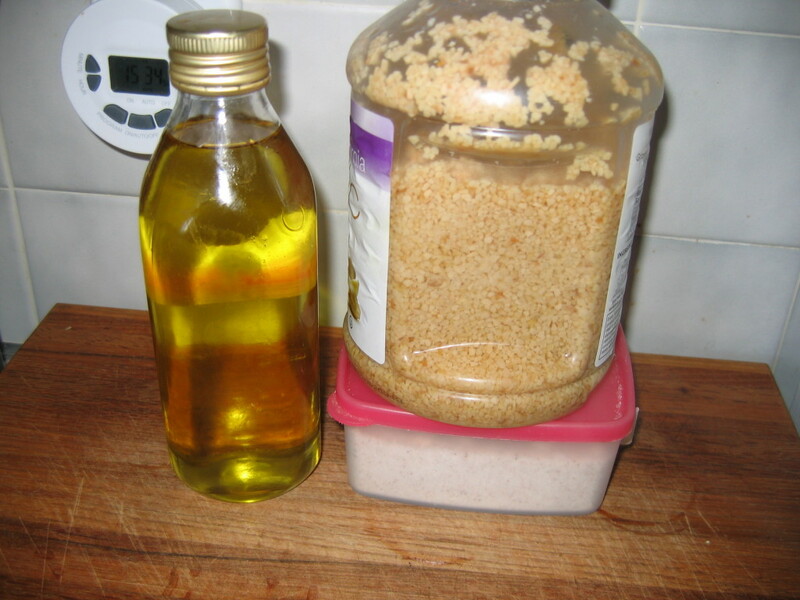 I used about 2 or 3 tablespoons of olive oil, a teaspoon of salt and 2 teaspoons of garlic, but feel free to play around with the spices until you find what you like. I set the dehydrator to 100 degrees and let them go for a few hours and kept checking them. When they were dry, but not brittle and falling apart, pull them out. They make fantastic snacks when you craving something salty. 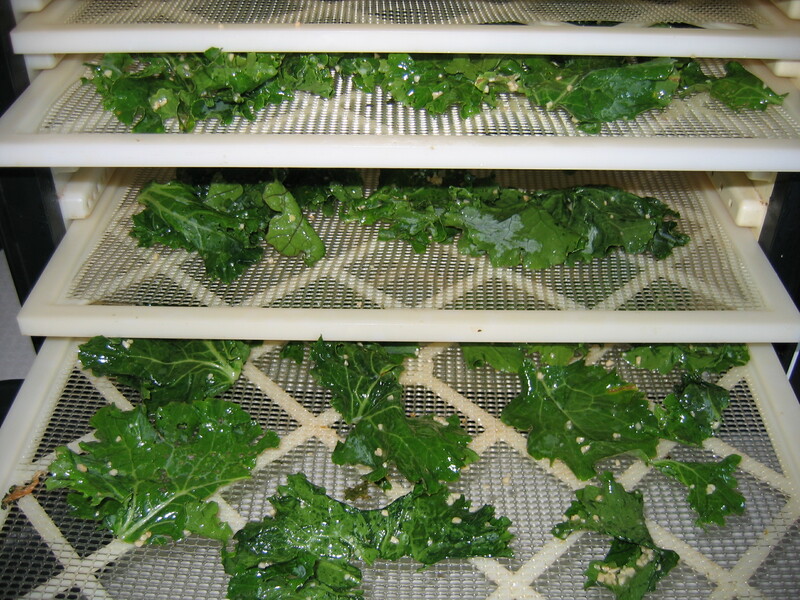 This entry was posted in Small Barn Farm and tagged dehydrate, garden, garlic, kale, recipe. Bookmark the permalink. We love Kale chips, too!!! We put them in the oven at 250 degrees for about 10 min. then turn them and bake until done. Thanks for the dehydrator idea.